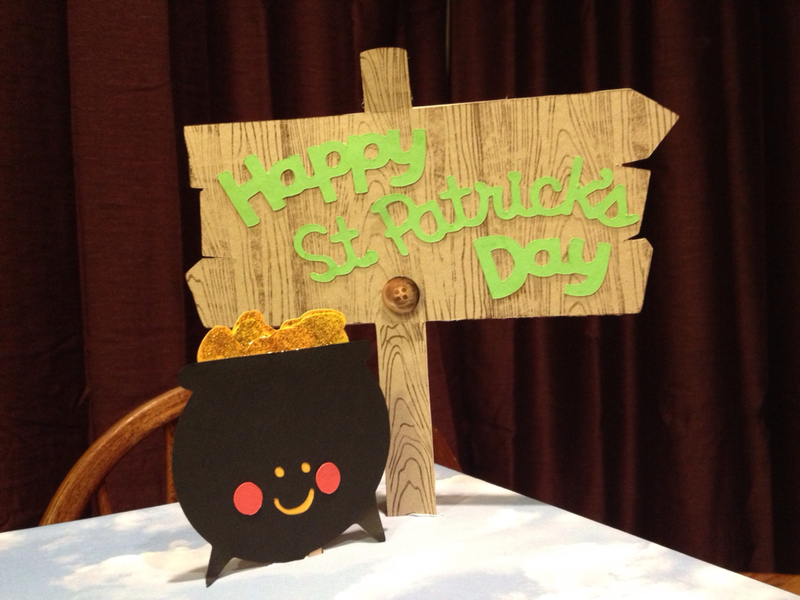 Hiding in My Craft Room: Happy St. Patricks Day! 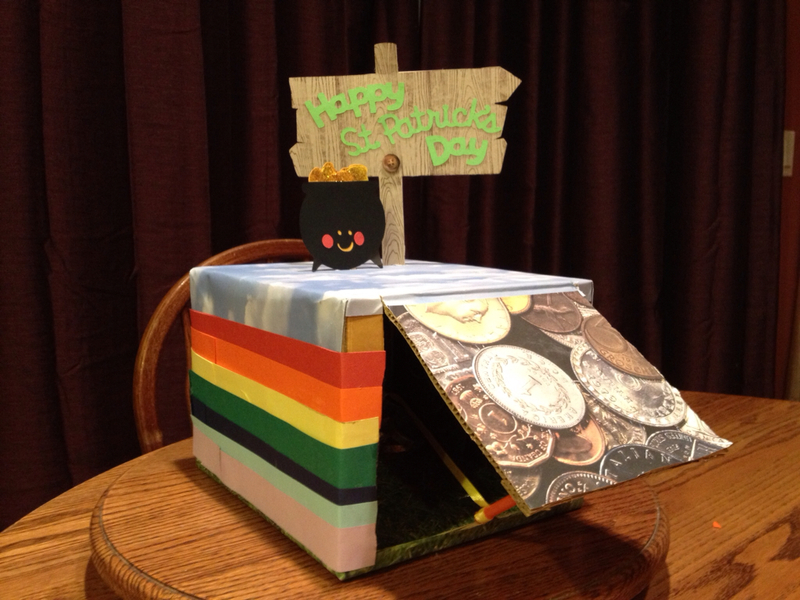 Here's the Leprechaun trap my kindergartener and I made! 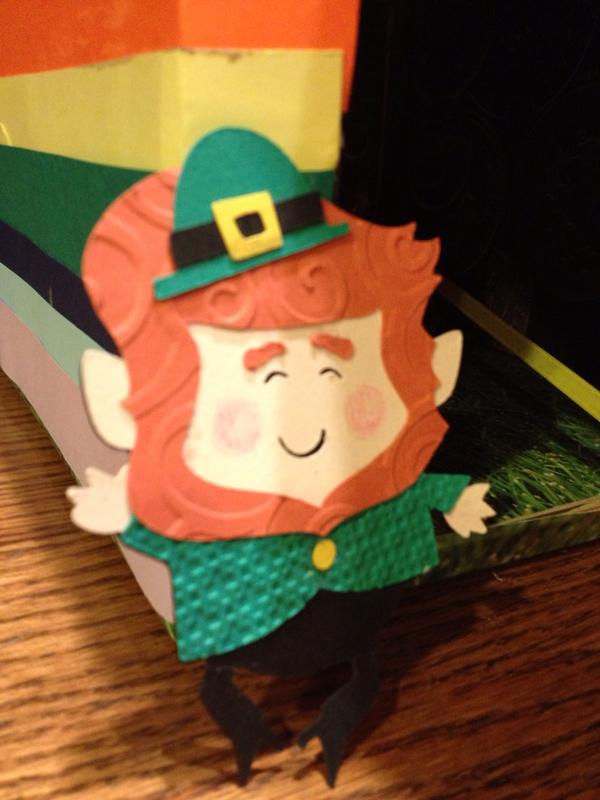 We used several Cricut Catridges. The Pot of Gold is from Simply Charmed cartridge and the Sign is from Walk in My Garden with the words from Create a Critter 2 cartridge. And the lucky Leprachaun we caught is from Simply Charmed cartridge! I've been pouring over all the Design Team applications and have the difficult desicison of narrowing them down. I will be making the final selections and emailing the new team tomorrow or Tuesday! Thanks so much for all the submissions! It's an honor that so many of you want to on the HIMCR team! You both did a fantastic job. Too cute. Now we all know what a Leprechaun trap looks like. How cute!!! A Leprachauntrap. I bet it was lots of fun to make with your little one. HIMCR #90 - Happy Anniversary! HIMCR #88 - Super Scraps Saturday!